Volume 9 in the series (the seventeenth and eighteenth Sundays after Trinity) presents a powerful programme recorded in Bach's resting place, the iconic Thomaskirche in Leipzig. The soloists include Nathalie Stutzmann, Mark Padmore, Christoph Genz and Gotthold Schwarz. When we embarked on the Bach Cantata Pilgrimage in Weimar on Christmas Day 1999 we had no real sense of how the project would turn out. There were no precedents, no earlier attempts to perform all Bach’s surviving church cantatas on the appointed feast day and all within a single year, for us to draw on or to guide us. Just as in plan ning to scale a mountain or cross an ocean, you can make meticulous provision, calculate your route and get all the equipment in order, in the end you have to deal with whatever the elements—both human and physical—throw at you at any given moment. With weekly preparations leading to the performance of these extraordinary works, a working rhythm we sustained throughout a whole year, our approach was influenced by several factors: time (never enough), geography (the initial retracing of Bach’s footsteps in Thuringia and Saxony), architecture (the churches both great and small where we performed), the impact of one week’s music on the next and on the different permutations of players and singers joining and rejoining the pilgrimage, and, inevitably, the hazards of weather, travel and fatigue. Compromises were sometimes needed to accommodate the quirks of the liturgical year (Easter falling exceptionally late in 2000 meant that we ran out of liturgical slots for the late Trinity season cantatas, so that they needed to be redistributed among other programmes). Then to fit into a single evening cantatas for the same day composed by Bach over a forty-year span meant deciding on a single pitch (A = 415) for each programme, so that the early Weimar cantatas written at high organ pitch needed to be performed in the transposed version Bach adopted for their revival, real or putative, in Leipzig. Although we had commissioned a new edition of the cantatas by Reinhold Kubik, incorporating the latest source findings, we were still left with many practical decisions to make over instrumentation, pitch, bass figuration, voice types, underlay and so on. Nor did we have the luxury of repeated performances in which to try out various solutions: at the end of each feast-day we had to put the outgoing trio or quartet of cantatas to the back of our minds and move on to the next clutch—which came at us thick and fast at peak periods such as Whitsun, Christmas and Easter. The recordings which make up this series were a corollary of the concerts, not their raison d’être. They are a faithful document of the pilgrimage, though never intended to be a definitive stylistic or musicological statement. Each of the concerts which we recorded was preceded by a ‘take’ of the final rehearsal in the empty church as a safety net against outside noise, loud coughs, accidents or meteorological disturbance during the performance. But the music on these recordings is very much ‘live’ in the sense that it is a true reflection of what happened on the night, of how the performers reacted to the music (often brand new to them), and of how the church locations and the audiences affected our response. This series is a tribute to the astonishing musicality and talent of all the performers who took part, as well as, of course, to the genius of J S Bach. Then the fun begins. By repeating the first three choral bars—this after ten intervening bars for orchestra alone—Bach disguises the fact that the first of his fugues is already under way! It is only when his upper two voices detach themselves from the rest that we cotton on to his strategy of presenting two consecutive fugal expositions, one for each clause of the psalm verse, both emanating from the instrumental material, both expanding from the four vocal lines to five parts by the addition of the independent clarino high above them. It is stirring stuff, and when Bach superimposes his choir over the reprise of the orchestral sinfonia it seems to be building to an imposing conclusion—but it then ends rather abruptly, two bars short of one’s expectations. Perhaps Anna Magdalena had called from the kitchen that lunch was on the table and the soup was getting cold. The first part of the Gospel for the day (Luke 14: 1-11) deals with the legitimacy of healing on the Sabbath, but here the emphasis is on the need to observe its inviolability—always a bit of a poser for the church musician, this being the busiest day of his week, and one that Bach skirts neatly in the tenor aria (No 2) by trumpeting not just the virtues of Sunday church attendance, where one may hear ‘the teachings of life’, but the propriety of his ‘joyous music … in praise of the Almighty’. In his day an estimated 9,000 Leipzig citizens (out of a population of under 30,000) headed for church on a Sunday morning. Bach depicts this joyful rush in the way the violin is kept going with little rest from start to finish, but you wonder whether he isn’t also alluding to his own breathless dash across town from St Thomas’s to St Nicholas’s (each with a seating capacity of around 2,500), or vice versa, each Sunday. Far more poignant is the way he seems to identify with the plea for repose in the accompagnato for alto and strings (No 3), and in the long-held note conveying ‘mein Ruhebette’ (‘my bed of rest’) just before the reprise of the pastoral aria for alto (No 4). With its three accompanying oboes (two d’amore, one da caccia) this is an unusual piece, not least in the way the continuo (we chose bassoon and organ) often falls silent when the alto begins to sing—a symbol, perhaps, of the soul’s desire to escape the gravitational pull of the world (the bass line its literal emblem). In the B section the contours of the voice line are broken up with little rests or sighs, with a passing hint of that church-sanctioned eroticism we’ve encountered elsewhere in Bach’s dialogues between the soul-as-bride and Jesus-as-bridegroom. A further yearning for eternal union with God comes in the tenor recitative, ten brief but eloquent bars in which Bach redirects his pattern of modulation for this cantata, initially downward from D to B minor to G, now upwards from E minor to F sharp minor, in response to the evocation of the Holy Spirit. The concluding hymn reaches us, sadly, without a text. Bach scholars have proposed different solutions, but since the melody is associated with a well-known hymn, ‘Auf meinen lieben Gott’, we decided to look no further than its opening verse with its appropriate vow of submission to God’s will. Even that peerless giver of new dates to Bach’s cantata chronology, Alfred Dürr, cannot decide whether this work belongs to Bach’s first Leipzig cycle, with a first performance on 19 September 1723, or whether it followed the publication two years later of Picander’s libretto. There are no such doubts surrounding BWV114 Ach, lieben Christen, seid getrost, a chorale cantata from Bach’s second Leipzig cycle that was first performed on 1 October 1724. What is immediately striking about its chorale fantasia opening, a 6/4 movement in G minor marked vivace, is that it has at its core the same stirring chorale melody by Justus Jonas used so memorably in BWV178 Wo Gott der Herr nicht bei uns hält, yet treated here very differently. There (in A minor) it was belligerent, a superb diatribe against hypocrites and false prophets; here it is far more nuanced. Bach seizes on the opposition of moods in the first strophe of Johannes Gigas’s hymn (1561), which serves as the basis of the entire cantata: two lines of proffered comfort—in effect, ‘don’t be so depressed’—followed by five suggesting ‘you deserve to be punished’. This stark contrast is audible before a word has been sung. Bach presents two themes simultaneously, one assertive and admonitory, derived from the hymn tune and assigned to the two oboes and first violins, the other a friskier affair based on a figura corta pattern (vv–vv–vv–vv–) and played initially by the second violins and continuo. To these he then adds a string of repeated quavers for the first oboe and first violins, at first staccato and with main beat trills, but soon modified in the upper strings as pulsated bow-vibrated quavers (wow-wow-wow-wow-wow), a device that immediately conveys the jittery anxiety of the believer in contrast to the extended helping hand of God (by means of the figura corta). Once the choir is launched the sopranos, doubled by cornetto, intone the Jonas melody while the lower three voices engage in more active and varied exchanges, dividing up the lines first with vigorous homophonic declamation, then in contrapuntal imitation, always inventive in their commentary and demanding the listener’s attention, especially as they surge into the cadences. Another outstanding movement is the chorale strophe (No 4) set to a post-harvest text (‘the grain of wheat will bear no fruit / unless it fall into earth’)—or, more correctly, a warning to the farmer to get his timing and seedbed spot on when drilling his winter cereals. The accompaniment consists entirely of a ten-note figure split by two quaver rests and is assigned to continuo unisono.We took this to mean just the two keyboards together, and as such it sounded very striking and a plausible metaphor for the flick of the sower’s wrist. It is followed by an aria for alto with oboe solo and strings, its theme similar to last week’s four meditations on death, yet very different in mood and treatment: we are to overcome our fear of death by seeing it as a source of freedom enabling us to depart, like Simeon, in peace. Bach writes a rising chromatic sequence for the approach of death (‘es muss ja so einmal gestorben sein’), the alto moving in sixths with the oboe over pulsating pedal Fs in the continuo. He then repeats it in the strings enriched by a Brahmsian series of dark, sustained contrapuntal lines with the oboe line descending in plaintive seventh chords. The effect is spooky and chilling—and in contrast to those entrancing bell-chimes of last week (see Vol 8), not in the slightest bit consoling. Much the most consistently fine of these cantatas is BWV47 Wer sich selbst erhöhet, der soll erniedriget werden, and this despite the fact that its three middle movements are based on a nugatory text from a cycle by Johann Friedrich Helbig, court official in Eisenach. At times it descends into pure doggerel; no wonder Bach (unlike Telemann) set Helbig’s words to music only this once. It was first performed on 13 October 1726. It opens by quoting St Luke, and the concluding homily from the parable against pride in the second part of the Gospel reading, ‘for whosoever exalteth himself shall be abased; and he that humbleth himself shall be exalted’. Whittaker claims that Bach wrote few choruses ‘as mighty and monumental’ as this opening movement, and one can hardly argue with that. It starts as a speeded up variant of the C minor organ prelude (BWV546) transposed up a fifth, with curt antiphonal exchanges between the strings and the pair of oboes, but it is not until bar 186, when it is assigned to the chorus in block harmony, that you understand firstly how its initial shape responds to the natural stresses of the Spruch, and secondly how its continuation (in the oboes at bar 12) forms the core of a fugal subject that rises to fill the puffed-out chest of the man ‘who exalteth himself’ and will later descend at the moment of his come-uppance. The second clause (concerned with the humble) acts as a counter-subject and concludes with its own smoothly rising phrase (‘shall be exalted’). There are striking episodes, reversals of the voice entries in the twin expositions, homophonic ‘summings up’ and a final return to the elaborate opening ritornello with the addition of the choir in a restatement of the complete text. This may not be the most attractive or easily assimilated of Bach’s opening choral fugues, but it grows on one, and by the encore of the second concert it had registered its considerable power with all the performers and (one sensed) with the listeners. We ended our programme with the most instrumentally conceived of Bach’s double-choir motets, BWV226 Der Geist hilft unser Schwachheit auf, incidentally the only one for which original doubling parts for winds and strings have survived. It was performed in October 1729 at the burial of J H Ernesti, the ageing headmaster (rector) of the Thomasschule, who may himself have compiled its stern Pauline-Lutheran text and whose musical tastes are perhaps reflected in Bach’s hieratic treatment, softening only at the mention of the ‘inexpressible groaning’ of the spirit and for the ravishing a cappella chorale with which it ends. The Allhelgonakyrkan (All Saints’ Church) in Lund is a dark brown Gothic revival church with awkwardly reverberant acoustics. We were appearing there as part of ‘Stemmer i 1000 år’, a Danish-Swedish Vokalfestival. All the delegates of this international choral directors’ congress came to our concert before settling down to a typically Scandinavian slap-up banquet in the hotel where we were staying. This was their annual bash, and even before the first course was over they had broken into lusty, good-natured singing of folksong arrangements in four parts. They were still at it several hours later when we came back from supper. It did not stop more than a hundred of them following us across the huge Øresund Bridge to Denmark the next day and attending our rehearsal and concert for a second time. This was in Copenhagen’s baroque Garrison Church, packed to the rafters and with some of the delegates sitting crosslegged on the floor of the main aisle. How strange that the two main churches of Leipzig—for twenty-seven years the twin poles of Bach’s musical activities—should differ so markedly in atmosphere. Was it like this in his day? True, we had been warned not to expect the same exceptionally warm official welcome that had been extended to us back in January at the Nikolaikirche, but I don’t think any of us (and that included our two ex-Thomaner male soloists) expected to be lectured on how fortunate we were to have come to the Thomaskirche (this, of course, we knew already) which was described to us as ‘the only place with a living, authentic tradition of Bach performance practice’. Hmmm. There had already been some reluctance to meet our express wish to perform, not at the back of the church in the choir gallery (hidden to view for three-quarters of the audience), but close to the chancel steps. If authenticity were the issue here, surely one would need to allow for the fact that the current nineteenth-century gallery, long since stripped of its Baroque furnishings, is today very different in shape and size from the one Bach knew. Over the past century there has been a policy to accentuate the late Gothic style of this ‘Hall Church’, with an inevitable change in the acoustic relationship between performers and listeners. In contrast to the benign rococo ambience of the Nikolaikirche, the unsettled and unsettling atmosphere we picked up here was manifest in the repertoire of distracting noises—telephones ringing, doors being slammed, scaffold poles dropped, the thud of an electric generator outside, even two people tinkering with the new organ—all the time we were trying to rehearse on the Saturday evening. Things were a bit quieter on the Sunday morning and beautiful shafts of autumn light came streaming in through the tall Gothic windows. Our programme opened with BWV96 Herr Christ, der ein’ge Gottessohn. The title of Bach’s chorale cantata for this Sunday looks at first to be its chief link to the Gospel of the day, Matthew’s account of Jesus’ theological dispute with the Pharisees on the significance of the epithet ‘Son of David’ (Matthew 22: 34-46). Far closer is its connection to a 200-year-old hymn by Elisabeth Cruciger (or Creutziger), a poet who came from an emigrant aristocratic Polish family. So close were she and her husband to Martin Luther that he placed her hymn at the head of his first Gesangbuch. In its praise of Christ as the Morning Star it seems better suited to the Epiphany season, and in fact it is not until halfway through the first recitative (No 2)—like all the four intermediate movements of the cantata, a paraphrase of Elisabeth Cruciger’s hymn stanzas—that the Gospel connection is made, ‘the mighty Son of God whom David of old worshipped in spirit as his Lord’. Next came BWV169 Gott soll allein mein Herze haben, the last and, to my mind, the most consistently beautiful of Bach’s cantatas for solo alto. Like BWV35 of six weeks ago, it incorporates movements from an earlier instrumental concerto arranged for obbligato organ. Here it is the prelude and the second aria (No 5) which originated in the lost work, possibly for oboe, flute or oboe d’amore, that Bach later reworked as the familiar E major harpsichord concerto, BWV1053 (it may also have resurfaced as a genuine organ concerto with Bach as soloist, written to inaugurate the new Silbermann organ installed in Dresden’s Sophienkirche in 1725). The extended opening sinfonia that includes three new, partly independent, parts for oboes, gives added weight to the cantata. The writing for obbligato organ is here so much more assured and convincing than in, say, Vergnügte Ruh, BWV170. So far it has eluded scholars whether Bach actively sought out cantata librettos that he deemed suited to solo vocal treatment for the six cantatas for solo voice he composed in the run-up to Advent 1726, and to what extent he might have intervened in their construction, or whether their texts were clerically imposed on him and, with their emphasis on individual piety, left him no option but to treat them as solo works. In its devotional lucidity and outward simplicity the first vocal arioso must have appealed to even the most hair-shirted Pietist in Leipzig. It opens with a motto in the basso continuo that is then passed to the alto and acts like a rondo motif, framing the anonymous libretto’s extrapolation of the Sunday Gospel concerned with the love of God, and recurring in a freely inverted form at the start of the first aria (No 3), with its ornate organ obbligato continuing in minuet rhythm and in mainly diatonic tonality. A close collaboration between Bach and his librettist in the formulation of this motto, Dürr suggests, is the basis for creating an overarching unity flowing from a single, rhetorically-derived idea (propositio) that permits an implied dialogue between this figure—the repeated ‘God alone shall have my heart’—and a gloss (confirmatio) given to it in recitative. It is a perfect example of Bach’s skill in following admonitions by contemporary music theorists to ‘grasp the sense of the text’ (Mauritius Vogt, 1719) with the goal of ‘refined and text-related musical expression … the true purpose of music’ (Johann David Heinichen, 1711). Its mood of gentle, insistent piety based on the observation of Christ’s twin commandments is in extreme contrast to Bach’s stern and unforgettably imposing laying down of these laws three years earlier in Du sollt Gott, deinen Herren, lieben, BWV77. Hugely impressive, too, is the way Bach adds a brand new vocal line to his pre-existing siciliano for strings (No 5), the slow movement of his former oboe-or-organ-or-harpsichord concerto. With its theme of farewell to worldly life, its irregular prosody and rhyme scheme, it lends weight to David Schulenberg’s contention that the text ‘must have been written, or at least adapted, specifically for use in the present contrafactum’. It is almost as skilful, and every bit as felicitous, as his similar grafting of four new vocal lines onto the rootstock of his D minor harpsichord concerto in Wir müssen durch viel Trübsal, BWV146. This richly extended rejection of worldly temptations in favour of God’s love is followed by a brief reminder of the second commandment (‘Treat your neighbour well!’) in recitative (No 6), included almost as an afterthought and offering a prelude to a congregational prayer on the same topic, the third verse of Luther’s ‘Nun bitten wir den Heiligen Geist’ (1524). In Bach’s day the Lutheran church calendar served as an organising principle for collections of cantatas, the liturgical year being governed by the two feasts of Easter (moveable) and Christmas (fixed). The Trinity season needed to finish a clear four weeks before Christmas, so that in a year such as 1724 when Easter fell late there were only twenty-five out of a possible twenty-seven Sundays after Trinity before the beginning of the tempus clausum, the period between Advent Sunday and Christmas Eve in which no cantatas or concerted music could be performed. 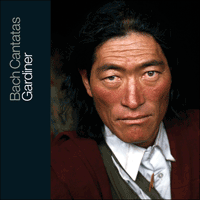 In 2000 it meant that we too needed somehow to fit Bach’s six surviving cantatas for the end of the Trinity season into our earlier programmes. So here, for our concert in Leipzig, was a chance to include that superb chorale cantata BWV116 Du Friedefürst, Herr Jesu Christ, first performed on 26 November 1724 as the final cantata of the Trinity season in Bach’s second year. Lutheran theological themes in this tail end to the liturgical year frequently deal with Armageddon, with the Second Coming or with the promised ‘abomination of desolation’. Though the text of Jakob Ebert’s seven-verse hymn (1601), retained literally for the two outer movements but paraphrased for the four inner ones, focuses on human misdemeanour and refers to ‘a land that suffers horribly’, its opening movement speaks of Jesus as the Prince of Peace to whom humankind turns ‘in need, in life and in death’. This is in line with a rubric that appears above the melody in hymn collections of the time: ‘in time of distress’ (‘in allgemeine Not’), and in particular a plea ‘for peace in time of war’ (‘zur Zeit des Krieges um Frieden zu bitten’). The orchestral ritornello for strings with two oboes d’amore has the feel of a modified concerto movement in A major to it: curiously positive, assured and lively, an impression confirmed by the block harmonies of the opening choral lines against independent instrumental material. It is not until the penultimate line of the Abgesang (the ‘B’ part of a socalled ‘Bar-form’ structure: AAB) that there is a hint of the Last Judgement in the way the lower three voices respond to the cantus firmus (soprano and cornetto) with nervous, broken, homophonic commentary in imitative cahoots with the instrumental lines. A reminder of the centrality of this hymn by Ebert occurs in the continuo introduction to the tenor recitative (No 3), invoking Jesus as ‘Prince of Peace’. In place of a second aria, Bach sets this confession of human guilt as a vocal trio (a relative rarity in his cantatas) with continuo for support, just as he did four weeks earlier in Aus tiefer Not, BWV38. In both trios he seems to have set himself deliberately knotty compositional challenges, in the earlier one to forge a reciprocal and wholly unlikely connective link between tribulation (Trübsal) and comfort (Trost), here to mine the thematic potential of his opening ritornello motif and to explore its modulatory permutations through a circle of falling fifths, guiding the listener through rich subterranean tunnels, the point of exit always uncertain. Having achieved normality of a kind by ending his ‘B’ section in the relative minor (C sharp), he leads us to expect a modified da capo of the ‘A’ section, but then gives it in unaltered form to which he appends a truncated repeat of the ‘B’ section, leading us back to where we began, the home key of E major. Perhaps a clue to these convolutions, and to these pronounced ascent/descent patterns that Eric Chafe calls ‘tonal allegory’, lies in the words of the middle section, ‘Did not Thy merciful heart break when the anguish of fallen man drove Thee to us into the world?’, set by Bach with exceptional pathos. He brings back his string ensemble for the penultimate movement, the alto’s plea for peace leading us, now with a glimmer of hope, back to the serenity of A major and to a collective prayer for illumination and enlightenment. It seemed fitting to conclude our concert by retreating to the choir of this great church, the very crucible where for the last twenty-seven years of his life Bach worked, rejoiced and suffered, and to form a horseshoe around his final resting place, flanked by the portraits of theologians in their long black robes and white lace ruffs, including perhaps his erstwhile clerical tormentors. From there we sang a cappella what reverential legend has identified as his very last piece, the so-called Deathbed Chorale BWV668. This four-part chorale, F W Marpurg tells us in his posthumous second edition to the Art of Fugue (1752), Bach ‘dictated in his blindness to the pen of one of his friends’. This romantic account is dented by the existence of at least two earlier versions of a chorale prelude (BWV641 and BWV668a). Proof that Bach was occupied with unfinished works during his final illness exists, so that it is possible that he did ‘dictate’ at least the imitative passages in the three-voice sections (absent in BWV641), the excision of some of the filigree ornamentation in the treble line, and a few smaller refinements including the exquisite concluding coda. Whatever the factual basis, nothing can diminish the heart-stopping beauty of this two-versed envoi, its original words ‘Wenn wir in höchsten Nöten sein’ changed to the more apt ‘Vor deinen Thron tret ich hiermit’, to which the melody was also habitually linked. That has the ring of truth about it: the man whose entire creative life had been devoted towards achieving musical perfection, here making final corrections and adjustments during his last moments of consciousness spent preparing for his own characteristically Lutheran ‘good’ death. It epitomises that ‘unearthly serenity’ which Edward Said identified as the hallmark of late style and last works. With the final cadence hovering in the air, the total stillness that followed was extraordinary: no applause, no mad rushing for the exits, just silence. It was as if the audience tacitly understood that this was our collective homage to the genius whose music has been the Morgenstern guiding the steps of our pilgrimage for the best part of a year. Finally the clapping began and people came forward with their thanks, visibly moved and loath to leave. It really felt as if the tutelary gremlins had been put to flight during the concert, that Luther’s ‘alter böse Feind’ had been given a sharp kick in the slats and run off with his tail between his legs. Ce fut véritablement difficile de se sortir de la tête la magnifique musique de la semaine passée—quatre superbes cantates (BWV161, 27, 8 et 95), toutes traitant de la douleur et de la consolation—et de passer à autre chose. Si à première vue les trois Cantates pour ce dimanche ne semblaient pas des plus stimulantes, chacune avait au moins un mouvement dont l’effet était immédiat. Dans celle qui, sans doute, est chronologiquement la première, Bringet dem Herrn Ehre seines Namens, BWV148, il s’agit du premier chœur, lequel s’ouvre sur un ritornello d’une longueur exceptionnelle, de type fanfare, pour trompette solo et cordes (implicitement doublées par les trois hautbois, appelés à jouer un rôle de premier plan dans le reste de la Cantate). Celui-ci sert de tremplin à l’entrée du chœur sur une galvanisante proclamation homophonique du verset biblique (Psaume 29, 2) «Apportez au Seigneur la gloire de son nom, adorez-le dans son éclat de sainteté». C’est alors que les jeu commence. En répétant les trois premières mesures du choral—dix mesures ayant entre-temps retenti à l’orchestre seul—Bach dissimule le fait que la première de ses fugues est déjà en marche! Ce n’est qu’au moment où les deux voix supérieures se détachent elles-mêmes du reste que l’on comprend sa stratégie consistant à enchaîner deux expositions fuguées consécutives, une pour chaque incise du verset de psaume, l’une et l’autre émanant du matériau instrumental, l’une et l’autre passant de quatre lignes vocales à cinq parties par adjonction de celle, indépendante et les dominant toutes par sa tessiture, du clarino. C’est là un édifice impressionnant, et lorsque Bach superpose d’un côté son chœur, de l’autre une reprise de la Sinfonia instrumentale, on se dit que l’ensemble est promis à une imposante conclusion—or tout s’arrête de manière assez abrupte, deux mesures plus tôt qu’on ne s’y attendrait. Peut-être Anna Magdalena, depuis la cuisine, venait-elle d’appeler pour dire que le repas était sur la table et que la soupe allait refroidir. La première partie de l’Évangile du jour (Luc, 14, 1-11) traite du bien-fondé de soigner un jour de sabbat, l’accent étant mis ici sur la nécessité d’en respecter l’inviolabilité—situation toujours quelque peu difficile pour un musicien d’église (il s’agit du jour le plus chargé de sa semaine) et que Bach contourne adroitement dans l’air de ténor (nº 2) en proclamant non seulement l’avantage qu’il y a assister à l’office du dimanche, où l’on peut entendre «les enseignements de la vie», mais la bienséance de sa «joyeuse musique […] pour louer le Très-Haut». On estime que, du temps de Bach, environ 9000 Leipzigeois (ou Lipsiens), sur une population de 30000 habitants, se rendaient le dimanche matin à l’église. Bach dépeint ce joyeux empressement à travers la manière dont le violon s’affaire, inlassablement, du début jusqu’à la fin—on peut aussi se demander si Bach ne fait pas là référence à ses courses incessantes à travers la ville, de Saint-Thomas à Saint-Nicolas (chacune ayant une capacité d’environ 2500 personnes), et inversement, dimanche après dimanche. Beaucoup plus poignante est la manière dont il semble faire sienne la quête de sérénité dans l’accompagnato pour alto et cordes (nº 3), avec cette note longuement tenue sur «mein Ruhebette» («mon lit de repos») juste avant la reprise de l’air pastoral pour alto (nº 4). Avec ses trois hautbois d’accompagnement (deux d’amore, un da caccia), c’est une page inhabituelle, du fait notamment que le continuo (nous avons opté pour basson et orgue) se tait lorsque l’alto commence à chanter—symbole, peut-être, du désir de l’âme d’échapper à la gravitation du monde (emblématiquement représenté par la basse). Dans la section B, les contours de la ligne vocale sont entrecoupés de petites pauses ou soupirs, avec une allusion passagère à cet érotisme entériné par l’Église et que nous avons rencontré ailleurs chez Bach, dans les dialogues entre l’âme, jouant le rôle de la promise, et Jésus, dans celui de l’époux. Une nouvelle aspiration à l’union éternelle avec Dieu survient dans le récitatif de ténor, dix brèves mais éloquentes mesures dans lesquelles Bach réoriente son canevas de modulations pour cette Cantate, d’abord en passant de ré majeur à si mineur puis sol majeur, puis de manière ascendante de mi mineur à fa dièse mineur, en réponse à l’évocation de l’Esprit saint. L’hymne finale nous est malheureusement parvenue dépourvue de texte. Les spécialistes de Bach ont proposé différentes solutions, mais dans la mesure où la mélodie en est traditionnellement associée à une hymne bien connue, «Auf mein lieben Gott», nous avons décidé de ne pas chercher plus loin et de nous en tenir à sa strophe initiale, avec son engagement, bien en situation, de soumission à la volonté de Dieu. Même cet incomparable découvreur de nouvelles dates, en matière de chronologie des Cantates de Bach, qu’est Alfred Dürr n’a pu trancher: l’œuvre appartient-elle au premier cycle de Leipzig de Bach—elle aurait été donnée en première audition le 19 septembre 1723—ou bien a-t-elle suivi la publication, deux ans plus tard, du livret de Picander? Nulle incertitude de cet ordre autour de Ach, lieben Christen, seid getrost, («Chers chrétiens, soyez confiants»), BWV114, Cantate-choral du deuxième cycle de Bach à Leipzig entendue pour la première fois le 1er octobre 1724. Ce qui frappe immédiatement dans sa fantaisie de choral initiale, mouvement à 6/4 en sol mineur indiqué vivace, c’est qu’elle renferme en son sein la même et émouvante mélodie de Justus Jonas utilisée par Bach de façon mémorable dans la Cantate Wo Gott der Herr nicht bei uns hält, BWV178, bien que traité ici très différemment. Là (en la mineur), elle était belliqueuse, superbe diatribe contre hypocrites et faux prophètes; ici, elle est beaucoup plus nuancée. Bach fait sienne l’opposition des climats dans la première strophe de l’hymne (1561) de Johannes Gigas, sur laquelle repose la Cantate tout entière: deux lignes de consolation en forme de main tendue—«comme vous perdez courage»—suivies d’un quintuple et suggestif «la punition, nous l’avons bien méritée». Ce puissant contraste est audible avant même qu’un mot soit chanté. Bach énonce deux thèmes simultanément, l’un autoritaire et sur le ton de la réprimande, dérivé de la mélodie de l’hymne et confié aux deux hautbois et aux premiers violons, l’autre plus enlevé et reposant sur un motif de type figura corta (vv–vv–vv–vv–), joué initialement par les seconds violons et le continuo. À cela, il ajoute ensuite une série de croches répétées destinées au premier hautbois et aux premiers violons, d’abord staccato et avec trilles sur le temps fort, puis modifiées aux cordes supérieures—croches pulsées sous la vibration de l’archet, procédé qui immédiatement traduit l’angoisse craintive du croyant contrastant avec la main tendue et secourable de Dieu (au moyen de la figura corta). Une fois le chœur lancé, les sopranos, doublés par le cornetto, entonnent la mélodie de Jonas tandis que les trois voix inférieures s’engagent dans des échanges plus actifs et variés, subdivisant les lignes d’abord par une vigoureuse déclamation homophonique, puis en contrepoint imitatif, toujours inventives dans leurs commentaire et exigeant de l’auditeur une vive attention, en particulier lorsqu’elles en viennent aux cadences. La plus consistante et remarquable de ces Cantates demeure Wer sich selbst erhöhet, der soll erniedriget werden, BWV47, et ce en dépit du fait que ses trois mouvements centraux reposent sur un texte de peu de poids provenant d’un recueil de Johann Friedrich Helbig, fonctionnaire à la cour ducale de Saxe-Eisenach. Celui-ci tourne parfois purement et simplement aux vers de mirliton; nul étonnement à ce que Bach (à la différence de Telemann) n’ait mis les paroles de Helbig qu’une seule fois en musique. Donnée pour la première fois le 13 octobre 1726, l’œuvre s’ouvre sur une citation de saint Luc, en l’occurrence l’homélie refermant la parabole contre l’orgueil, dans la seconde partie de la lecture de l’Évangile—«Qui lui-même s’élève, qu’il soit rabaissé, et qui lui-même s’abaisse, qu’il soit élevé». Whittaker affirme que Bach écrivit peu de chœurs «aussi imposants et monumentaux» que ce mouvement d’introduction, ce que l’on ne saurait que difficilement contester. Il commence telle une variante, sur tempo plus rapide, du Prélude en ut mineur BWV546 pour orgue transposé une quinte plus haut, avec de brusques échanges, à la manière d’un double chœur, entre les cordes et les deux hautbois, mais ce n’est qu’à la mesure 186, lorsqu’il revient au chœur en tant que «bloc harmonique» (écriture verticale ou homorythmique), que l’on comprend d’abord comment sa disposition initiale répond aux exigences naturelles du Spruch, ensuite comment sa continuation (aux hautbois, mesure 12) constitue le noyau d’un sujet de fugue s’élevant tandis que la poitrine de «qui s’élève lui-même» se gonfle de suffisance—avant de redescendre au moment où celui-ci reçoit sa juste «récompense». La seconde section de texte (au sujet des humbles) tient lieu de contre-sujet et se referme sur sa propre incise doucement ascendante («qu’il soit élevé»). On trouve là des épisodes marquants—renversements d’entrées vocales lors d’expositions parallèles, «résumés» homophoniques et retour ultime du ritornello élaboré d’introduction avec adjonction du chœur lors de la reprise du texte tout entier. Il se peut que ce ne soit pas la plus attractive ou la plus aisément assimilable des fugues chorales d’introduction de Bach, mais elle s’impose petit à petit, au point que lors du bis du second concert, elle eut un impact considérable tant sur les interprètes que (à ce qu’il sembla) sur les auditeurs. Le deuxième mouvement est un air de soprano à da capo en ré mineur avec orgue ou, lors d’une reprise ultérieure, violon obligé—c’est cette version que nous avons choisi de donner, laquelle invite à déployer des trésors de lyrisme et de poésie dans la première partie mais aussi de bravoure dans la seconde. Son thème est en forme de simple contraste entre l’humilité chrétienne et l’orgueil diabolique. Il n’est pas certain que Bach l’ait inséré dans sa Cantate lors de la première audition, en 1726. Peut-être l’essaya-t-il avant de la mettre de côté au dernier moment, les interprètes s’étant sentis dépassés par ses exigences. Cela pourrait expliquer pourquoi le mouvement suivant semble rester sur le même terrain; en fait, si l’on retirait ce mouvement, la Cantate, sur le plan narratif, n’en perdrait pour autant sa cohérence. Mais quelle perte ce serait! Au violon échoit une figure planante, comme un battement d’ailes, qui de prime abord semble purement décorative mais qui, à mieux y regarder, se pare des insaisissables attributs de l’humilité que les chrétiens sont invités à observer. Puis dans la section B, Bach déploie une partie de violon en doubles cordes pour évoquer les diaboliques Hoffart (arrogance ou présomption) et Stolz (orgueil). Avec ces accords brisés rudes et obstinés (v – –), on se sent soudain très proche des concertos pour violon de Bartók et de Khatchaturian. Entre-temps, le soprano se lance dans de furieux échanges imitatifs avec la basse («Gott pflegt alle die zu hassen»—«Dieu a coutume de haïr tous ceux [qui ne renoncent à leur entêtement et à leur arrogance]»). Notre programme se referma sur le motet pour double chœur le plus instrumentalement conçu de Bach, Der Geist hilft unser Schwachheit auf («L’Esprit vient en aide à notre faiblesse»), BWV226, qui se trouve être le seul pour lequel ont subsisté les parties originales de vents et de cordes doublant les voix. Il fut donné en octobre 1729 lors des funérailles du recteur de la Thomasschule, Johann Heinrich Ernesti, mort à un âge avancé (il était né en 1652), lequel pourrait en avoir lui-même compilé le texte sévère, d’après saint Paul, et dont les goûts musicaux se trouvent peut-être reflétés par le traitement hiératique de Bach, qui ne s’adoucit qu’à l’évocation des «ineffables soupirs» de l’Esprit et dans le ravissant choral a cappella sur lequel il s’achève. L’Allhelgonakyrkan (église de Tous les Saints) de Lund (Suède) est une sombre église néogothique (1891) à l’acoustique terriblement réverbérée. Nous nous y produisions dans le cadre du Stemmer i 1000 år, Vokalfestival à la fois danois et suédois. Tous les délégués de ce congrès international de chefs de chœurs vinrent à notre concert avant de prendre part à un somptueux banquet, typiquement scandinave, dans l’hôtel même où nous résidions. Il s’agissait de leur grande fête annuelle, et avant même d’avoir fini le premier plat, ils se mirent à entonner des arrangements à quatre parties de chants traditionnels pleins d’enjouement et de bonhomie. Ils y étaient encore quelques heures plus tard lorsque nous revînmes de notre souper. Cela n’empêcha pas qu’une bonne centaine d’entre eux nous accompagnent le lendemain, à travers le gigantesque pont-tunnel franchissant l’Øresund (détroit du Sund), assistant à notre répétition et à notre concert pour la seconde fois. Celui-ci eut lieu à la Garnisonskirke, une église baroque de Copenhague, si pleine à craquer que certains délégués durent s’asseoir en tailleur à même le sol de la nef principale. Il est singulier que les deux églises principales de Leipzig—qui furent vingt-sept années durant les pôles jumeaux des activités musicales de Bach—puissent offrir une différence d’atmosphère aussi marquée. En allait-il de même de son temps ? À vrai dire, on nous avait prévenus qu’il ne fallait pas nous attendre à un accueil officiel aussi exceptionnellement chaleureux qu’à la Nicolaikirche en janvier précédent, mais je doute que quiconque parmi nous (y compris nos deux solistes masculins ex-Thomaner) aurait imaginé devoir entendre un sermon sur la chance que nous avions de nous retrouver à la Thomaskirche (ce que, bien entendu, nous savions déjà), laquelle nous fut présentée tel «l’unique endroit où subsistait l’authentique tradition interprétative des œuvres de Bach». Soit …! Notre souhait explicite de ne pas nous produire au fond de l’église, sur la galerie dévolue aux chanteurs (donc cachés à près des trois quarts du public), mais à proximité des marches donnant accès au chœur, avait déjà été accueilli avec réticence. Si l’on voulait se targuer d’authenticité, alors sans doute fallait-il nous y autoriser, car l’actuelle galerie, érigée au XIXe siècle et depuis longtemps dépouillée de son mobilier baroque, est aujourd’hui très différente, d’aspect comme de taille, de celle que connut Bach. Au cours du siècle dernier, la tendance fut d’accentuer le caractère gothique tardif de cette «église-halle», avec à la clé une inévitable modification du rapport acoustique entre interprètes et auditeurs. En comparaison de la douce ambiance rococo de la Nicolaikirche, l’atmosphère perturbée et dérangeante du lieu se manifesta par toute une palette de bruits perturbateurs—sonneries de téléphone, portes claquées, cliquetis d’échafaudages, bruit sourd d’un générateur électrique à l’extérieur, et même deux personnes bricolant dans le nouvel orgue latéral—durant tout le temps, le samedi soir, où nous essayâmes de répéter. La situation fut un peu plus calme le dimanche matin cependant que de beaux rayons de lumière automnale coulaient à flots par les hautes fenêtres gothiques. Notre programme s’ouvrit sur la Cantate Herr Christ, der ein’ge Gottessohn («Seigneur Christ, fils unique de Dieu»), BWV96. Le titre de la Cantate-choral de Bach pour ce dimanche semble être, à première vue, son principal lien avec l’Évangile du jour, à savoir le récit selon Matthieu (22, 34-46) de la dispute théologique entre Jésus et les Pharisiens à propos de la signification de l’épithète «Fils de David». Un rapport beaucoup plus intime se fait toutefois jour avec une hymne déjà vieille de deux cents ans, signée Elisabeth Cruciger (ou Creutziger), poétesse issue d’une famille aristocratique polonaise. Elle-même ainsi que son mari étaient si proches de Luther qu’il plaça son hymne en tête de son premier Gesangbuch. En tant que louange du Christ perçu telle l’Étoile du Matin (Morgenstern), cette hymne semble mieux convenir au temps de l’Épiphanie, et de fait ce n’est qu’à mi-chemin du premier récitatif (nº 2)—qui à l’instar des quatre mouvements intermédiaires de la Cantate est une paraphrase des diverses strophes de l’hymne d’Elisabeth Cruciger—que le lien avec l’Évangile s’affirme, «le puissant Fils de Dieu que David déjà en son esprit honorait tel son Seigneur». Dans son mouvement d’introduction, une fantaisie de choral d’une divine beauté, Bach rend le lien avec l’Épiphanie immédiatement sensible en ajoutant, couronnant son orchestre en formation de base: deux hautbois, cordes et continuo, une flûte à bec sopranino en fa. La scintillante figuration suggère l’Étoile du Matin guidant de son éclat les Mages à travers un paysage pastoral assurément plus saxon que proche-oriental. Pour restituer au mieux la délicate palette instrumentale de Bach, nous avons essayé de placer Rachel Beckett à quelque distance—dans la chaire située en contrebas, environ au tiers de la nef, d’où sa flûte à bec étincelait, séduisante, à la manière dont une couleur particulière, dans un manuscrit enluminé, est utilisée pour mettre en relief une ligne spécifique. On nous signifia alors que la chaire était interdite aux musiciens de passage. Rien, cependant, ne put empêcher ce soudain et fascinant glissement vers mi majeur que Bach négocie au moment de mentionner la Morgenstern. Normalement la plus extrême des tonalités diésées du spectre tonal des Cantates de Bach, et dans le contexte d’un mouvement ancré dans fa majeur, cette tonalité symbolise l’humanité stimulée par la vision éblouissante de l’Étoile du Matin, «qui déploie son éclat plus loin que les autres étoiles». Bach ajoute un cornetto («corno» étant l’abréviation usuelle pour «cornetto») pour soutenir le cantus firmus qu’il attribue en l’occurrence aux altos, leur entrée précédant toujours celle des trois autres voix en contrepoint imitatif. Vint ensuite la Cantate Gott soll allein mein Herze haben («Dieu seul doit avoir mon cœur»), BWV169, la dernière des Cantates de Bach pour alto solo et, à mon avis, celle dont la beauté est la plus consistante. À l’instar de la Cantate BWV35 d’il y a six semaines, celle-ci incorpore des mouvements issus d’un concerto instrumental antérieur ici arrangé pour orgue obligé. Ce sont en l’occurrence le prélude et le deuxième air (nº 5) dont l’origine remonte à l’œuvre perdue, peut-être pour hautbois, flûte ou hautbois d’amour, et que Bach devait par la suite réviser sous la forme d’un Concerto pour clavecin en mi majeur bien connu, BWV1035 (il se peut aussi qu’elle ait refait surface tel un véritable concerto pour orgue, dont Bach aurait été le soliste, écrit pour l’inauguration du nouvel orgue Silbermann érigé en 1725 dans la Sophienkirche de Dresde). L’imposante Sinfonia d’introduction, qui inclut trois nouvelles parties de hautbois partiellement indépendantes, apporte un surcroît de poids à cette Cantate. L’écriture pour orgue obligé est ici sensiblement plus assurée et convaincante que, par exemple, dans Vergnügte Ruh, BWV170. À ce jour, les spécialistes n’ont pu déterminer si Bach se mit activement en quête de livrets de cantates lui semblant convenir à un traitement vocal soliste pour les six Cantates pour voix seule qu’il composa dans la perspective de l’Avent 1726, et dans quelle mesure il intervint dans leur élaboration, ou bien si leurs textes lui furent imposés par le clergé et, dans la mesure où ils mettent l’accent sur la piété individuelle, ne lui laissèrent d’autre possibilité que de les traiter sous forme d’œuvres solistes. Par son discernement dévotionnel et son extrême simplicité, le premier arioso vocal avait tout pour séduire même les piétistes les plus austères de Leipzig. Il s’ouvre sur un motto de la basse continue repris par l’alto solo et tenant lieu de motif de rondo, encadrant l’extrapolation du livret anonyme de l’Évangile du dimanche traitant de l’amour de Dieu, puis réapparaissant sous forme librement renversée au début du premier air (nº 3), avec sa partie ornementée d’orgue obligé poursuivant sur rythme de menuet dans une tonalité pour l’essentiel diatonique. Dürr a suggéré que Bach et son librettiste devaient avoir étroitement collaboré pour la formulation même de ce motto, d’où cette unité d’ensemble résultant d’une seule et même idée d’inspiration rhétorique (propositio) autorisant un dialogue implicite entre cette figure—le «Dieu seul doit avoir mon cœur» réitéré—et la glose (confirmatio) qui lui est ajoutée sous forme de récitatif. C’est là un parfait exemple du talent de Bach, s’en tenant aux admonestations des théoriciens contemporains de la musique, à «saisir le sens du texte» (Mauritious Vogt, 1719) afin de parvenir à «une expression musicale raffinée en lien avec le texte […] véritable finalité de la musique» (Johann David Heinichen, 1711). Son climat de douce et insistante piété reposant sur l’observation des deux commandements de Jésus offre un contraste extrême avec la manière sévère et inoubliablement imposante dont Bach assenait ces mêmes préceptes trois ans plus tôt dans Du sollt Gott, deinen Herren, lieben («Tu dois aimer Dieu, ton Seigneur»), BWV77. Tout aussi impressionnante se révèle la manière dont Bach ajoute une partie vocale flambant neuve au siciliano préexistant pour cordes (nº 5), autrement dit le mouvement lent de son concerto antérieur pour hautbois, ou orgue, ou clavecin. Avec son thème de l’adieu à la vie en ce monde, sa prosodie irrégulière et son schéma de versification, il semble aller dans le sens de David Schulenberg soutenant que le texte «doit avoir été écrit, ou du moins adapté, pour être spécifiquement utilisé dans le présent contrafactum». Il est tout aussi habile, et à maints égards aussi bien trouvé, que les quatre nouvelles lignes vocales venant se greffer de façon similaire par dessus son Concerto en ré mineur dans la Cantate Wir müssen durch viel Trübsal, BWV146. Ce rejet richement développé des tentations de ce monde en faveur de l’amour de Dieu est suivi d’un bref rappel du deuxième commandement («Soyez loyaux envers votre prochain!») en forme de récitatif (nº 6), inséré telle une réflexion après coup servant en même temps de prélude à la prière de l’assemblée sur le même sujet—troisième strophe du «Nun bitten wir den Heiligen Geist» («Maintenant prions le Saint-Esprit», 1524) de Luther. À l’époque de Bach, les cycles de cantates s’organisaient en fonction du calendrier de l’Église luthérienne, l’année liturgique étant régie par les deux fêtes de Pâques (mobile) et de Noël (fixe). La période post Trinitatis devait s’achever quatre semaines pleines avant Noël, de sorte qu’en une année comme 1724, où Pâques tombait assez tard, on ne dénombrait que vingt-cinq dimanches après la Trinité, sur vingt-sept possibles, avant le début du tempus clausum, c’est-à-dire la période entre le premier dimanche de l’Avent et la veille de Noël, durant laquelle ni cantates ni musique «concertée» ne pouvaient être données. L’an 2000 relevait d’un même cas de figure, de sorte qu’il nous fallut trouver le moyen d’insérer dans nos programmes antérieurs les six Cantates de Bach destinées à la fin de la saison post Trinitatis parvenues jusqu’à nous. Ainsi notre concert de Leipzig nous offrit-il la possibilité d’inclure la superbe Cantate-choral Du Friedefürst, Herr Jesu Christ («Toi Prince de paix, Seigneur Jésus Christ»), BWV116, donnée en première audition le 26 novembre 1724 en guise d’ultime cantate du temps post Trinitatis de la deuxième année de Bach. Les thèmes théologiques luthériens en cette arrière-saison de l’année liturgique traitent fréquemment d’Armageddon [«colline de Megiddo» où, selon le Nouveau Testament, eut lieu le combat final entre le bien et le mal], du second avènement du Christ ou de «l’abomination de la désolation» [prophétie de Daniel, cité par Matthieu, 24, 15]. Bien que le texte de l’hymne (1610) en sept strophes de Jakob Ebert, conservé mot pour mot dans les deux mouvements extérieurs mais paraphrasé dans les quatre pages intermédiaires, se concentre sur les méfaits de l’homme et se réfère à «un pays effroyablement tourmenté», son mouvement d’introduction évoque Jésus en tant que Prince de paix vers lequel l’humanité se tourne «dans le besoin, dans la vie et dans la mort». Voilà qui rejoint les indications figurant au-dessus de la mélodie dans les recueils d’hymnes de l’époque: «en [temps de] détresse universelle» («in allgemeiner Not»), et notamment l’appel «en temps de guerre [à] implorer la paix» («zur Zeit des Krieges um Frieden zu bitten»). Le ritornello orchestral pour cordes accompagnées de deux hautbois d’amour fait l’effet d’un mouvement modifié de concerto en la majeur: étonnamment positif, plein d’assurance et de vie, impression confirmée par les lignes vocales du choral d’introduction, harmonisées verticalement, note contre note, en regard d’un matériau instrumental indépendant. Ce n’est qu’avec l’avant-dernière ligne de l’Abgesang (partie B d’une structure de type Barform—AAB) qu’il est fait allusion au jugement dernier à travers la manière dont les trois voix inférieures répondent au cantus firmus (soprano et cornetto) via un commentaire nerveux, brisé et homophonique allant de pair, en imitation, avec les lignes instrumentales. Il semblait tout indiqué de terminer notre concert en gagnant le chœur de cette grande église, véritable épicentre des vingt-sept dernières années de la vie et de l’activité de Bach, où il avait connu joies et peines, et de nous y déployer en fer à cheval autour de sa dernière demeure, entourés de portraits de théologiens en longues robes noires rehaussées de collerettes blanches, dont peut-être certains de ceux qui l’avaient tant tourmenté. De là, nous entonnâmes a cappella ce qu’une pieuse légende présente comme ayant été sa dernière œuvre, le Choral dit «du lit de mort», BWV668. Cette page à quatre voix, ainsi que F.W. Marpurg le relate dans sa seconde édition posthume (1752) de L’Art de la Fugue, Bach l’aurait «dictée, étant devenu aveugle, à la plume de l’un de ses amis». Ce récit romantique se trouve écorné par l’existence d’au moins deux versions antérieures d’un prélude de choral pour orgue (BWV641 et BWV668a). Le fait que Bach se soit préoccupé d’œuvres inachevées durant sa maladie finale étant attesté, il est de fait possible qu’il ait «dicté» au moins les passages en imitation de la section à trois voix (qui ne figure pas dans BWV641), la suppression d’une partie de l’ornementation en filigrane de la voix supérieure, également une certaine et subtile décantation, ainsi dans la délicieuse coda de conclusion. Quoi qu’il en soit, rien ne saurait amoindrir la beauté à couper le souffle des deux strophes de cet envoi dont les paroles originales—«Wenn wir in höchsten Nöten sein» («Lorsque nous sommes dans la plus extrême détresse»)—ont été à bon escient transformées en «Vor deinen Thron tret’ ich hiermit» («Devant ton trône ainsi je comparais»), formulation à laquelle la mélodie était aussi fréquemment associée. Cela a le mérite de sonner juste: l’homme dont toute la vie créatrice fut consacrée à tendre vers la perfection en musique fait ici même ses ultimes corrections et ajustements dans ses tout derniers moments de conscience, consacrés à préparer sa propre «bonne» mort, selon une tradition typiquement luthérienne. S’y trouve résumée cette «sérénité étrangère à ce monde» dans laquelle Edward Said voyait la marque de son style et de ses œuvres ultimes. Tandis que la cadence finale flottait encore dans l’air, le silence total qui s’ensuivit fut extraordinaire: pas d’applaudissements, aucune précipitation pour gagner au plus vite la sortie, juste le silence. C’était comme si le public avait tacitement compris que c’était là notre hommage collectif au génie dont la musique avait été la Morgenstern guidant nos pas tout au long de cette année de pèlerinage. Finalement les applaudissements se mirent à fuser et les gens à manifester leur reconnaissance, visiblement émus et guère désireux de se retirer. On aurait vraiment dit que les diablotins tutélaires avaient été mis en déroute durant le concert, que «der alte böse Feind» («le vieil et méchant ennemi») de Luther avait lui-même reçu un méchant coup sur le derrière et s’était enfui la queue entre les jambes. Als wir Weihnachten 1999 in Weimar unsere „Bach Cantata Pilgrimage“, unsere Pilgerreise auf den Spuren Bachs antraten, hatten wir keine rechte Vorstellung davon, wie das Projekt ausgehen würde. Versuche, alle erhaltenen Kirchenkantaten Bachs an dem entsprechenden Feiertag und innerhalb eines einziges Jahres aufzuführen, und Vorgänger, auf die wir uns hätten berufen oder die uns hätten leiten können, hatte es nicht gegeben. Wie bei der Planung einer Bergbesteigung oder der Überquerung eines Ozeans kann man sich noch so sorgfältig vorbereiten, die Route festlegen und die Ausrüstung in Ordnung bringen, letzten Endes hat man es mit Gegebenheiten—Menschen und Umständen—zu tun, die völlig unvermutet begegnen. Unsere wöchentlichen Vorbereitungen auf die Aufführung dieser einzigartigen Werke, ein Arbeitsrhythmus, den wir ein ganzes Jahr lang beibehielten, waren von verschiedenen Faktoren beeinflusst: Zeit (nie genug), Geographie (zunächst Spurensuche auf den Wegen Bachs in Thüringen und Sachsen), Architektur (die Kirchen, berühmte und weniger bekannte, in denen wir auftraten), der Einfluss der Musik einer Woche auf die nächste und die verschiedenen Veränderungen unter den Mitwirkenden, wenn Spieler und Sänger sich neu oder erneut der Pilgerreise anschlossen, und zwangsläufig auch die Unwägbarkeiten des Wetters, der Reise und unsere Müdigkeit. Wir sahen uns jede Woche neuen Herausforderungen gegenüber, und jede Woche bemühten wir uns, sie zu bewältigen, den Blick auf die praktische wie auf die theoretische Seite gerichtet. Zuweilen mussten wir Kompromisse eingehen, um den Launen des Kirchenjahres zu begegnen (Ostern fiel 2000 ungewöhnlich spät, und das bedeutete, dass für die Kantaten der späten Sonntage nach Trinitatis der Platz knapp wurde und sie in anderen Programmen untergebracht werden mussten). Und wenn wir an einem Abend Kantaten gemeinsam aufführen wollten, die Bach über einen Zeitraum von über vierzig Jahren für den gleichen Tag komponiert hatte, mussten wir uns bei jedem Programm für einen einzigen Stimmton (A = 415) entscheiden, weshalb die frühen Weimarer Kantaten, die den hohen Orgelton zugrunde legten, in der transponierten Fassung aufzuführen waren, die Bach für ihre—tatsächliche oder vermeintliche—Wiederaufführung in Leipzig vorgesehen hatte. Obwohl wir Reinhold Kubik mit einer neuen Edition der Kantaten beauftragt hatten, in der die jüngsten Quellenfunde berücksichtigt wurden, blieben hin sichtlich Instrumentierung, Tonlage, Bass figuration, Stimmtypen, Textzuordnung usw. noch viele praktische Entscheidungen zu treffen. Auch den Luxus wiederholter Aufführungen, in denen wir verschiedene Lösungen hätten ausprobieren können, hatten wir nicht. Kaum war ein Feiertag vorbei, rückten die drei oder vier Kantaten, die wir aufgeführt hatten, in den Hintergrund, und schon hatten uns die nächsten im Griff—was in der Zeit um die hohen Feiertage wie Pfingsten, Weihnachten und Ostern ins Uferlose geriet. Die Aufnahmen in dieser Folge sind ein Nebenprodukt der Konzerte, nicht ihre raison d’être. Sie sind getreue Dokumente der Pilgerreise, waren jedoch nie als endgültige stilistische oder musik wissenschaftliche Statements gedacht. Jedem der Konzerte, die wir aufgenommen haben, war ein „Take“ der Generalprobe in der leeren Kirche voraus gegangen, das uns gegen Störfaktoren wie Außenlärm, lautes Husten, Zwischenfälle oder wettermäßige Beeinträchtigungen während der Aufführung rückversichern sollte. Aber die Musik dieser Einspielungen ist insofern sehr „live“, als sie genau wiedergibt, was an dem betreffenden Abend vor sich ging, wie die Ausführenden auf die Musik ansprachen (die für sie zuweilen vollkommen neu war) und wie der jeweilige Ort, wo sich die Kirche befand, und das Publikum unsere Reaktionen beeinflussten. Diese Serie ist eine Würdigung der erstaunlichen Musikalität und des Talentes aller beteiligten Spieler und Sänger und natürlich des Genies J. S. Bachs. Es war wirklich schwer, die herrliche Musik der vergangenen Woche—vier wunderbare Kantaten (BWV161, 27, 8 und 95), die alle Schmerz und Trost zum Inhalt hatten, aus dem Kopf zu bekommen und fortzufahren. Wenn die drei Kantaten für diesen Sonntag zunächst nicht von allererster Güte zu sein schienen, so enthielt doch jede wenigstens einen Satz, der auf Anhieb beeindruckte. In der vermutlich frühesten, BWV148 Bringet dem Herrn Ehre seines Namens, war es der erste Chor, der mit einem ungewöhnlich langen, fanfareartigen Ritornell für Solotrompete und Streicher beginnt (dazu einer stillschweigend vorausgesetzten Verdopplung durch die drei Oboen, die später in der Kantate eine markante Rolle spielen werden). Dieses Ritornell wird die Startrampe für den Chor, der mit einer mitreißenden homophonen Darbietung des Psalmverses „Bringet dem Herrn Ehre seines Namens, betet an den Herrn im heil’gen Schmuck“ einsetzt. Dann fängt der Spaß an. Durch die Wiederholung der ersten drei Takte des Chors—nach zehn dazwischen geschobenen Takten nur für Orchester—verschleiert Bach, dass die erste seiner Fugen schon unterwegs ist! Erst wenn sich die beiden Oberstimmen von den übrigen lösen, dämmert uns, dass er vorhat, zwei Fugenexpositionen nacheinander zu liefern, eine für jeden Halbsatz des Psalmverses, und beide erwachsen aus dem instrumentalen Material, beide erweitern sich aus den vier Gesangslinien auf fünf Stimmen, hoch über ihnen ergänzt durch ein unabhängiges Clarino. Das ist eine aufwühlende Angelegenheit, und wenn Bach seinen Chor über die Reprise der orchestralen Sinfonia setzt, scheint sich ein imposanter Schluss anzubahnen—endet dann jedoch abrupt, zwei Takte früher, als man erwarten würde. Vielleicht hatte Anna Magdalena aus der Küche gerufen, das Mittagessen stehe auf dem Tisch und die Suppe werde kalt. Der erste Teil des Tagesevangeliums (Lukas 14, 1-11) befasst sich mit der Frage, ob es recht sei, am Sabbat zu heilen, doch hier liegt die Betonung auf der Notwendigkeit, die Unverletzlichkeit des Feiertags zu achten—für einen Kirchenmusiker immer eine recht knifflige Sache, denn dieser ist für ihn der arbeitsreichste Tag der Woche, und ein Tag, den Bach in der Tenor-Arie (Nr. 2) geschickt präsentiert, indem er nicht nur die Vorteile des sonntäglichen Gottes dienstbesuchs herausposaunt, bei dem man Gelegenheit habe, „die Lehren des Lebens zu hören“, sondern wo auch „frohes Getöne zum Lobe des Höchsten“ zu vernehmen sei. Zu seiner Zeit gingen schätzungsweise 9.000 Einwohner Leipzigs (von insgesamt unter 30.000) jeden Sonntagmorgen zur Kirche. Bach schildert das fröhliche Eilen in das „heilige Haus“ in der Weise, wie die Violine von Anfang bis Ende ohne großen Aufenthalt in Bewegung gehalten wird, aber man fragt sich, warum er nicht auch seine eigene sonntägliche Hetze durch die Stadt anklingen lässt, von St. Thomas zu St. Nikolai und zurück (beide mit 2.500 Plätzen). Sehr viel schmerzlicher wirkt, wie er in dem Accompagnato für Alt und Streicher (Nr. 3) und in der langgehaltenen Note, die kurz vor der pastoralen Arie für Alt (Nr. 4) auf sein „Ruhebette“ verweist, die flehentliche Bitte um Ruhe auf sich zu beziehen scheint. Mit ihren drei begleitenden Oboen (zwei d’amore, eine da caccia) ist diese Arie ein ungewöhnliches Stück, nicht zuletzt in der Weise, wie das Continuo (wir entschieden uns für Fagott und Orgel) häufig verstummt, wenn die Altstimme einsetzt—vielleicht ein Symbol für die Sehnsucht der Seele, der Anziehungskraft der Erde (deren formgetreues Symbol die Basslinie ist) zu entkommen. Im B-Teil werden die Konturen der Gesangslinie durch kleine Pausen oder Seufzer und gelegentliche Anspielungen auf jene von der Kirche sanktionierte Erotik aufgebrochen, der wir schon in anderen Dialogen Bachs zwischen der Seele als Braut und Jesus als Bräutigam begegnet sind. Diese Sehnsucht nach der Vereinigung mit Gott kommt auch in dem Tenor-Rezitativ zum Ausdruck, zehn kurzen, doch beredten Takten, in denen Bach für diese Kantate die Richtung der Modulation ändert und, als Echo auf die Anrufung des Heiligen Geistes, die Abwärtsbewegung, von D über h-Moll nach G, nun aufwärts, von e-Moll nach fis-Moll, verlaufen lässt. Der abschließende Choral ist uns leider ohne Text überliefert. Von Bach-Forschern wurden verschiedene Lösungen vorgeschlagen, doch da die Melodie Bezüge zu dem bekannten Choral „Auf meinen lieben Gott“ aufweist, haben wir beschlossen, uns auf die erste Strophe zu beschränken, in der, passend zum Thema, der Gläubige die Unterwerfung unter Gottes Willen gelobt. Selbst Alfred Dürr, der mit seiner kritischen Neuausgabe der Werke Bachs und revidierten Chronologie der Kantaten eine einzigartige Leistung vollbracht hat, konnte nicht entscheiden, ob dieses Werk zu Bachs erstem Leipziger Zyklus gehört und am 19. September 1723 oder erst zwei Jahre später, nach der Veröffentlichung von Picanders Libretto, uraufgeführt wurde. Ein weiterer herausragender Satz ist die Choralstrophe (Nr. 4), an deren Anfang das Bild des Säens steht („kein Frucht das Weizenkörnlein bringt, / es fall denn in die Erden“). Die ganze Begleitung besteht nur aus einer zehnnotigen Figur, die durch zwei Achtel pausen aufgeteilt und einem unisono geführten Continuo zugewiesen ist. Wir verstanden darunter einfach die beiden Cembali, und es klang sehr ein drucksvoll und als glaubwürdige Metapher für die schnelle Drehung des Handgelenks, die der Sämann bei seiner Tätigkeit vollführt. Darauf folgt eine Arie für Alt mit Oboe solo und Streichern, deren Thema ähnlich ist wie in den vier Meditationen der vergangenen Woche über den Tod, doch deutlich anders in der Stimmung und Verarbeitung: Wir müssen unsere Angst vor dem Tod überwinden, in dem wir ihn als eine Quelle der Freiheit sehen, die uns, wie Simeon, „in Frieden fahren“ lässt. Bach schildert den nahenden Tod („es muss ja so einmal gestorben sein“) in einer aufsteigenden chromati schen Sequenz, bei der sich die Altstimme im Sextabstand zur Oboe über pulsierenden Orgel punkten auf F im Continuo bewegt. Er wiederholt diese dann in den Streichern, die durch eine Brahms’sche Folge aus düsteren, getragenen kontrapunktischen Linien bereichert werden, während die Oboe in klagenden Septakkorden absteigt. Die Wirkung ist gespenstisch und niederdrückend—und im Gegensatz zu jenem be zaubernden Glockengeläut der vergangenen Woche (s. Vol. 8) nicht im Geringsten tröstlich. Wir beendeten unser Programm mit Bachs doppelchöriger Motette BWV226 Der Geist hilft unser Schwachheit auf, die sich am deutlichsten an instrumentalen Maßstäben orientiert und von der die originalen Bläser- und Streicherstimmen erhalten sind, die zur Verdopplung dienten. Sie wurde im Oktober 1729 bei der Beisetzung des im Amt ergrauten Rektors der Thomasschule J. H. Ernesti aufgeführt, der ihren gestrengen paulinisch-lutherischen Text vielleicht selbst zusammengestellt hat und dessen musikalischer Geschmack sich möglicherweise in der hierarchischen Ausrichtung spiegelt, in der Bach die Stimmen führt. Erst mit der Erwähnung des „unerbittlichen Seufzens“ des Geistes wird der Satz weicher und öffnet sich dem hinreißenden A-cappella-Chor, mit dem sie ausklingt. Die Allhelgonakyrkan (Allerheiligenkirche) in Lund ist eine dunkelbraune Kirche in neugotischem Stil mit einer unangenehm halligen Akustik. Wir traten dort im Rahmen des dänisch-schwedischen Vokalfestivals „Stemmer i 1000 år“ auf. Alle Teilnehmer dieser internationalen Tagung für Chorleiter kamen zu unserem Konzert, bevor sie sich in dem Hotel, in dem wir wohnten, zu einem feudalen und typisch skandinavischen Festmahl niederließen. Das war ihre jährliche Feier, und noch vor Ende des ersten Ganges hatten sie begonnen, muntere vierstimmige Volksliedarrangements zum Besten zu geben. Mehrere Stunden später, als wir vom Abendessen zurückkamen, waren sie noch immer zugange. Das hielt über hundert von ihnen nicht ab, uns am nächsten Tag über die riesige Øresund-Brücke nach Dänemark zu folgen und das Konzert zum zweiten Mal zu hören. Es fand in der barocken Kopenhagener Garnisonskirche statt, die bis auf den letzten Platz gefüllt war, so dass sich einige Tagungsmitglieder im Hauptschiff auf dem Boden im Schneidersitz niederließen. Wie merkwürdig, dass sich die beiden Leipziger Hauptkirchen—siebenundzwanzig Jahre lang die beiden Pole der musikalischen Aktivitäten Bachs—in ihrer Atmosphäre derart deutlich unterschieden. War es zu seiner Zeit auch so? Uns war zwar gesagt worden, wir sollten nicht die ungewöhnlich herzliche offizielle Begrüßung erwarten, die wir im Januar in der Nikolaikirche erlebt hatten, aber ich glaube, keiner von uns (einschließlich unserer beiden ehemaligen Thomaner-Solisten) war darauf gefasst, darüber belehrt zu werden, welches Glück es bedeute (das wussten wir natürlich schon), in der Thomaskirche zu sein, die „der einzige Ort mit einer lebendig gebliebenen Tradition Bach’scher Aufführungspraxis“ sei. Hmmm. Es hatte schon einiges Widerstreben gegeben, als wir den Wunsch äußerten, nicht hinten in der Kirche auf der Chorempore (die für drei Viertel des Publikums nicht sichtbar ist), sondern in der Nähe der Treppe zum Altarraum aufzutreten. Wenn es hier tatsächlich um Authentizität ging, würde man doch der Tatsache Rechnung tragen müssen, dass sich die gegenwärtige, aus dem 19. Jahrhundert stammende Empore, die schon lange nicht mehr über ihre barocke Ausstattung verfügt, in Form und Größe deutlich von derjenigen unterscheidet, die Bach gekannt hatte. Das vergangene Jahrhundert hindurch gab es Bestrebungen, den spätgotischen Stil dieser Hallenkirche zu betonen, wodurch sich zwangsläufig die akustische Beziehung zwischen Aufführenden und Zuhörern verändert hat. Die im Gegensatz zu dem freundlichen Rokokoambiente der Nikolaikirche gestörte und störende Atmosphäre, der wir hier begegneten, machte sich in einer Fülle ablenkender Geräusche bemerkbar—Handyklingeln, Türenschlagen, umfallende Gerüststangen, der Aufschlag eines Elektrogenerators draußen und sogar zwei Leute, die auf der Orgel herumklimperten—, als wir am Samstagabend zu proben versuchten. Ein bisschen ruhiger war es am Sonntagmorgen, und die Strahlenbündel eines schönen Herbstlichtes fluteten durch die hohen gotischen Fenster. Dann folgte BWV169 Gott soll allein mein Herze haben, die letzte und, meiner Meinung nach, in sich stimmigste und schönste Arie von Bachs Kantaten für Alt solo. Wie BWV35, sechs Wochen zuvor aufgeführt, enthält sie Sätze aus einem früheren Instrumentalkonzert, das für obligate Orgel ein gerichtet wurde. Hier sind es das Präludium und die zweite Arie (Nr. 5), die ihren Ursprung in dem verloren gegangenen Werk hatten, das möglicher weise für Oboe, Flöte oder Oboe d’amore bestimmt war und das Bach später zu dem bekannten Cembalo konzert E-Dur, BWV1053 umarbeitete. (Es kann auch als echtes Orgelkonzert, das Bach für die Einweihung der neuen Silbermannorgel 1725 in der Dresdener Sophienkirche geschrieben hatte und bei dieser Gelegenheit selbst spielte, wieder aufgetaucht sein.) Die umfangreiche Sinfonia, die das Werk einleitet und drei neue, teilweise unabhängige Stimmen für Oboen enthält, gibt der Kantate zusätzliches Gewicht. Der Satz für obligate Orgel ist hier sehr viel sicherer und überzeugender als zum Beispiel in Vergnügte Ruh BWV170. Bach-Forscher haben sich bisher noch nicht mit der Frage befasst, ob Bach für die sechs Kantaten für Solostimme, die er im Vorfeld des Advents 1726 komponierte, die Libretti selbst unter dem Aspekt ausgesucht hat, ob sie sich für eine vokalsolistische Verarbeitung eignen, in welchem Maß er in ihren Aufbau eingegriffen haben könnte oder ob ihm die Texte von den Geistlichen vorgeschrieben wurden und ihm, da sie die Frömmigkeit des einzelnen Menschen behandeln, keine andere Wahl ließen, als sie als Solowerke zu verarbeiten. In seiner andächtigen Klarheit und äußeren Schlichtheit dürfte das erste vokale Arioso auch den im armseligsten Büßerhemd wandelnden Pietisten in Leipzig zugesagt haben. Es beginnt mit einem Motto im Basso continuo, das dann zur Altstimme weitergereicht wird und sich wie ein Rondomotiv verhält, indem es den unterschwelligen Bezug des anonymen Librettos auf das Sonntagsevangelium umrahmt, das Gottes Liebe zum Thema hat, und in freier Umkehrung am Anfang der ersten Arie (Nr. 3) erscheint, während das verzierte Orgelobligato im Menuettrhythmus fortfährt und vorwiegend diatonisch bleibt. Eine enge Zusammenarbeit Bachs mit seinem Librettisten bei der Formulierung dieses Mottos, so meint Dürr, sei die Voraussetzung gewesen, um eine übergreifende Einheit zu schaffen, die von einem einzelnen rhetorisch abgeleiteten Gedanken (propositio) herrührt, der einen implizierten Dialog zwischen dieser Figur—dem wiederholten Textabschnitt „Gott soll allein mein Herze haben“—und ihrer Ausdeutung (confirmatio) erlaube, die sie im Rezitativ erfährt. Es ist ein hervorragendes Beispiel für Bachs Geschick, den Ermahnungen zeitgenössischer Musiktheoretiker nachzukommen—so Mauritius Vogt, der dafür plädierte, den „Text an sich zu reißen“ (1719), damit ein textbezogener musikali scher Ausdruck erreicht werden könne, der laut Johann David Heinichen (1711) das „wahre Ziel der Musik“ sei. Die sanfte Stimmung beharrlicher Fröm migkeit, die auf der Beachtung des doppelten Gebotes Christi basiert, steht in äußersten Gegensatz zu der Strenge und unvergesslichen Eindringlichkeit, mit der Bach diese Gebote drei Jahre früher in Du sollt Gott, deinen Herren, lieben BWV77 verkündet hatte. Außerordentlich eindrucksvoll ist auch, wie Bach dem bereits vorhandenen Siciliano für Streicher (Nr. 5), dem langsamen Satz seines früheren Konzertes für Oboe oder Orgel oder Cembalo, eine völlig neue Gesangslinie hinzufügt. Mit ihrem Thema des Abschieds vom weltlichen Leben, ihrem unregelmäßigen Satzrhythmus und Reimschema gibt sie David Schulenbergs Behauptung Gewicht, der Text müsse zur Verwendung in dem vorhandenen Contrafactum eigens geschrieben oder zumindest adaptiert worden sein. Sie ist ebenso kunstfertig gestaltet und mit jeder Note ebenso gelungen wie in seinem Cembalokonzert in Wir müssen durch viel Trübsal BWV146, dessen Grundstock er um vier neue Gesangslinien erweitert hat. Dieser ausgedehnten Zurückweisung weltlicher Versuchungen zugunsten der Liebe Gottes folgt im Rezitativ (Nr. 6) eine kurze Erinnerung an das zweite Gebot („Doch meint es auch dabei mit eurem Nächsten treu“), das gewissermaßen als nachträgliche Betrachtung eingeschoben ist und als Präludium dient zu einem Gebet der Gemeinde, der dritten Strophe von Luthers Choral „Nun bitten wir den Heiligen Geist“ (1524). Es erschien uns angebracht, unser Konzert im Chorraum dieser berühmten Kirche zu beenden, dort, wo Bach in den letzten siebenundzwanzig Jahren seines Lebens gewirkt, frohlockt und gelitten hat, und uns in Hufeisenform um seine letzte Ruhestätte aufzustellen, zu beiden Seiten die Porträts von Theologen mit ihren langen Talaren und spitzen besetzten Beffchen, darunter vielleicht seine einstigen klerikalen Peiniger. Von dort aus sangen wir den vier stimmigen „Sterbebettchoral“ BWV668, den die Legende voller Ehrfurcht als sein letztes Werk identifiziert und den „der selige Mann“, wie Marpurg in der postumen Erstausgabe der Kunst der Fuge (1752) anmerkt, „in seiner Blindheit einem seiner Freunde aus dem Stegreif in die Feder dictiret hat“. Diese ergreifende Geschichte gerät durch die Existenz mindestens zweier früherer Fassungen eines Choral präludiums (BWV641 und BWV668a) ins Wanken. Beweise dafür, dass sich Bach während seiner Krankheit vor dem Tod mit unvollendeten Werken beschäftigte, sind vorhanden, so dass es durchaus möglich ist, dass er zumindest die imitierenden Passagen in den drei stimmigen (in BWV641 nicht vorhandenen) Abschnitten, die partielle Entfernung der filigranen Ornamentierungen in der Diskantlinie und einige kleinere Verbesserungen in der vorzüglichen abschließenden Coda „dictiret“ hat. Wie auch immer die Fakten liegen mögen, nichts behindert die herzzerreißende Schönheit dieses zweistrophigen Gesangs, dessen ursprünglicher Wortlaut „Wenn wir in höchsten Nöten sein“ durch den besser geeigneten Text „Vor deinen Thron tret ich hiermit“ ersetzt wurde, der ebenfalls nach dieser Melodie gesungen wurde. Es klingt überzeugend: Dieser Mann, der während seines gesamten Schaffens nach musikalischer Perfektion gestrebt hatte, korrigiert und ändert hier in den letzten Augenblicken, die er in seinem Leben bewusst erlebt und in denen er sich auf seinen eigenen, auf lutherische Weise „guten“ Tod vorbereitet. Dieses Werk ist die Quintessenz jener „überirdischen Heiterkeit“, die Edward Said das Kennzeichen späten Stils und letzter Werke nannte. Während die Klänge der abschließenden Kadenz noch in der Luft schwebten, herrschte absolute Stille: kein Applaus, kein versessenes Streben nach dem Ausgang, einfach nur Stille. Es war, als hätte das Publikum stillschweigend begriffen, dass dies unsere gemeinschaftliche Huldigung an das Genie war, dessen Musik als Morgenstern unsere Schritte auf unserer Pilgerreise über einen Gutteil des Jahres gelenkt hatte. Dann begann schließlich der Beifall, und Leute kamen nach vorn, um uns zu danken, sichtlich bewegt und nicht willens, diesen Ort zu verlassen. Man hatte tatsächlich den Eindruck, als seien während des Konzertes die bösen Geister in die Flucht geschlagen worden, als hätte Luthers „alter böser Feind“ einen heftigen Rippenstoß erhalten und sei mit eingekniffenem Schwanz fortgerannt. When I started on this extraordinary journey in Weimar in December 1999 I have to admit I didn’t know very much of Bach’s music, so the revelation, week by week, of this amazing body of work was quite literally life-changing. Much of my life had revolved around the requirements of church life (firstly as a vicar’s daughter, and then as an organist’s wife), so it was fascinating to experience the rhythm of the liturgical year through the eyes of this Thuringian Lutheran church musician. Along with our music, we received each week photocopies of the bible readings set by the lectionary for that particular Sunday, together with notes giving us the context of Bach’s life at the time each cantata was written. Perhaps we would learn that a particularly fine trumpeter had been in town or, more poignantly, that one of his children had recently died. It was especially moving when we had the privilege of performing in the very buildings and towns which Bach would have known—on our first visit to Leipzig in January, it was thrilling to sing parts of the Christmas Oratorio in the Nicholaikirche, where some of it was first heard. By the time we returned to Leipzig in October the Pilgrimage had also visited Eisenach, where Bach was born and baptised, Arnstadt, Halle, Mülhausen and Köthen, where he had been Capellmeister. Walking through Leipzig I had been struck by the image of Bach, a hard-working Cantor, rushing through the streets from one church to another, his robes flowing behind him, simply doing his job. It was particularly poignant in the Thomaskirche to sing the deathbed chorale standing around his grave. As the year unfolded, we became more familiar with his musical language, and with the demands and pleasure of singing in German, and came to understand a little better the deep spirituality and humanity of this extraordinary man.